Jackie Mundry is a reporter at NEWS CENTER Maine in Bangor, ME specializing in general assignment reporting. Jackie earned her Bachelor of Arts degree in Communication from the University of New Hampshire in 2015. During her time in New Hampshire she worked as a broadcast intern on campus at UNH Wildcat Productions and as a sports intern at WMUR in Manchester, NH. 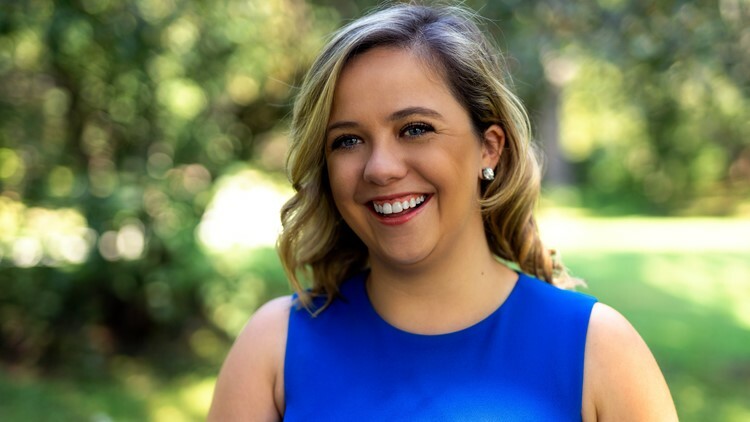 Following her time at UNH, Jackie worked as a newspaper reporter at The Eagle-Tribune in Derry, NH where she covered the first in nation primary leading up to the 2016 Presidential election. Jackie also worked as a digital journalist at NH1 News Network in Concord, NH. With a desire to pursue broadcast reporting, Jackie attended the Newhouse School of Public Communications at Syracuse University where she received her Masters of Science in Broadcast and Digital Journalism. During her time at Syracuse she had the opportunity to cover election night from New York City, completed an internship at WSYR News 9, and covered athletic programs ranging from the high school to the professional level – including various Syracuse University programs and the Washington Nationals AAA affiliate, the Syracuse Chiefs. Before Jackie joined the NEWS CENTER team in May of 2018, she worked as a freelance sideline reporter for ESPN 3 covering the UNH Wildcats, and as a production assistant at Lax Sports Network in Woburn, MA. Jackie enjoys spending her spare time running, reading, watching all things Boston sports and getting on her figure skates as much as she can. You can connect with Jackie on Twitter, Facebook or send her an E-mail at Jackie.mundry@newscentermaine.com.